Ambrose, a bestselling author and award-winning blogger, has a passion for creative storytelling. She has always had a knack for telling vivid stories, but believes that her time at the University of Idaho gave her direction and brought her to where she is today. Her brother George also attended U of I and shared that passion for storytelling and the magical power it carried to communicate ideas and experiences. He continued to tell jokes and stories until he died in May 2017. Ambrose honored her brother and their shared interest in storytelling by creating the Ambrose Storytelling Endowment, a lasting fund to support budding storytellers in U of I’s College of Letters, Arts and Social Sciences. The signature part of the endowment is the Ambrose Storytelling Workshop, a five-hour event held at U of I in March. Two dozen students from a variety of disciplines learned the craft of storytelling, with assistance from U of I’s faculty. Ambrose opened the second half of the workshop with a presentation of her own. She began by relating a short but purposeful story that drew the participants in immediately. After concluding the story, Ambrose went back and delineated how each little detail in the story’s presentation made a difference. 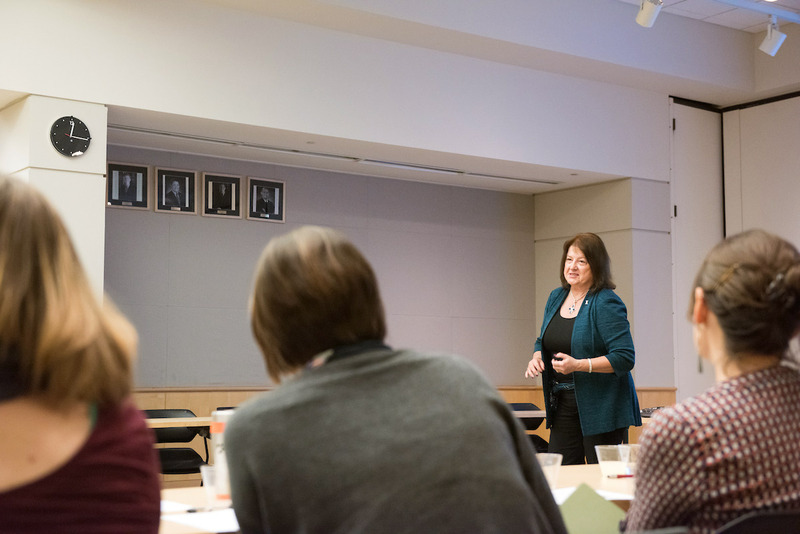 Elaine Ambrose helps University of Idaho students improve their communication skills through creative storytelling at the Ambrose Storytelling Workshop. 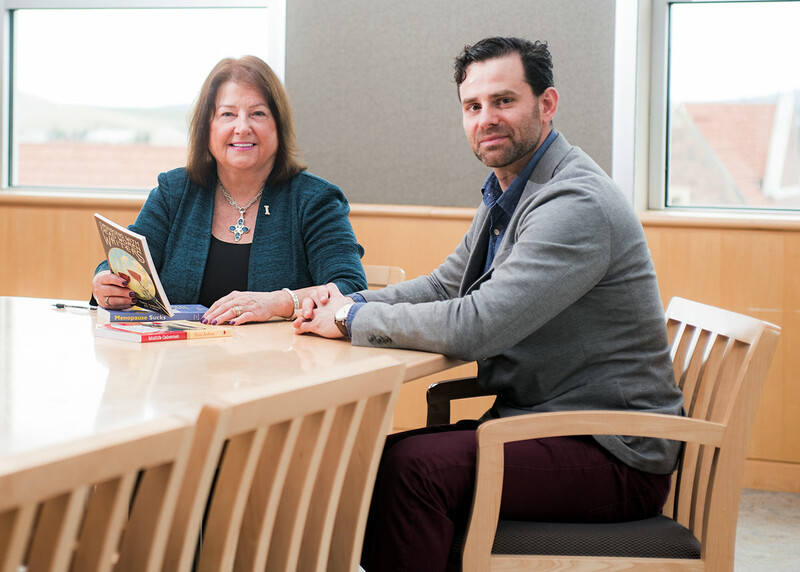 Elaine Ambrose ’73 created the Ambrose Storytelling Endowment to support budding storytellers in U of I’s College of Letters, Arts and Social Sciences. The 2018 workshop was organized by CLASS faculty member Benjamin James, who is the recipient of the inaugural Ambrose Storytelling Endowment faculty research award. James organized the workshop and a panel discussion featuring faculty members Alexandra Teague and Robert Caisley, along with art and design professor Greg Turner-Rahman. Interacting with faculty, who are themselves published authors, allowed the students to evaluate their stories and get constructive feedback. Ambrose hopes this kind of exercise continues to proliferate as a means of creation and release. The Ambrose Storytelling Workshop will be held each spring and will continue to groom prospective writers and creatives.